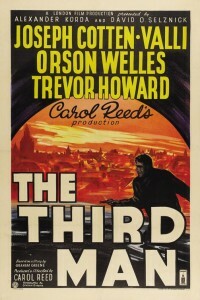 Rialto Pictures will release Carol Reed’s Film Noir masterpiece The Third Man in a major 4K restoration – the first ever for the 1949 mega-classic. The new restoration has its world premiere this month in the “Cannes Classics” section of the Cannes Film Festival, with U.S. openings at New York’s Film Forum on June 26, 2015 (2-week run) and L.A.’s Nuart on July 3, 2015. Engagements in San Francisco, Washington, DC, Seattle, Philadelphia and other major markets will follow. This year’s (2015) Cannes Classics also features a new 4K restoration of Akira Kurosawa’s RAN, to be released by Rialto later this year.